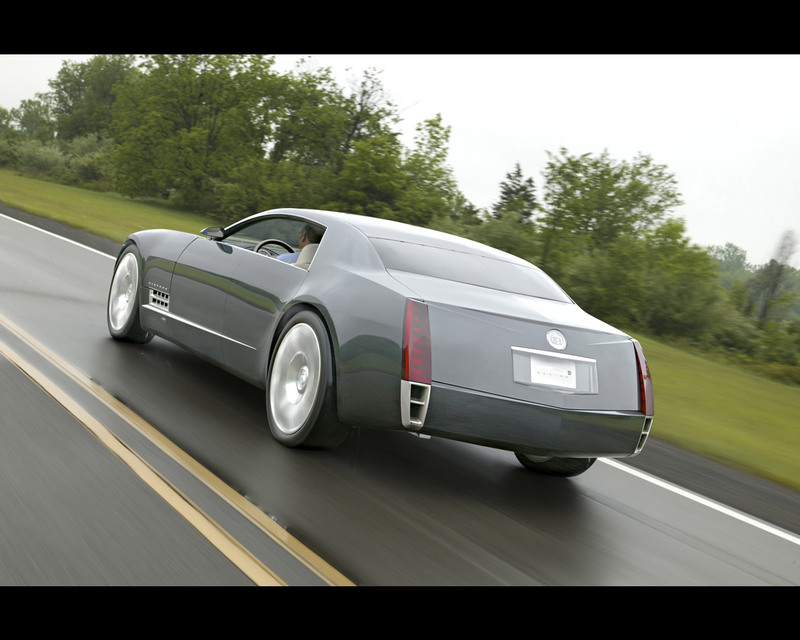 DETROIT - The Cadillac Sixteen is classic automotive seduction with the panache of Cadillac's ultramodern design. In form, power and opulence, the 2003 Cadillac Sixteen embodies the timeless qualities of an exceptionally luxurious super-sedan with its sleek, gemstone appearance. The rear-wheel-drive Cadillac Sixteen brings forth the exclusivity and grandeur of the custom-built Fleetwood coach cars of the 1930s for today's generation of exceedingly well-heeled customers of discerning taste. "The Sixteen is a modern interpretation of everything that made Cadillac the standard of the world and can again," said Robert A. Lutz, GM vice chairman for product development and chairman of GM North America. "It's a reminder of a glorious past as well as a progressive statement. "Cadillac's tradition is rich, but in the next several years it will be introducing vehicles as solid, dynamic and beautifully designed as anything it's ever done. And Sixteen is a harbinger of this new era." The name speaks to the car's powerful 16-cylinder, 1000-horsepower engine and Cadillac's heritage as a maker of fine luxury automobiles. Cadillac's reputation grew exponentially during the '30s in no small part because of the development of the automotive industry's first V-16. The Cadillac Sixteen's grand exterior proportions create an unparalleled presence; its splendid interior is meticulously handcrafted and urbane. "The Cadillac Sixteen proportions were crafted with great attention to detail and homage to classic design," said Brian Smith, the Cadillac Sixteen's exterior designer. "The Cadillac Sixteen evokes an era when luxury cars were hand-built." General Motors' designers drew extensively on the traditions of the coachbuilt era in crafting the Cadillac Sixteen, employing the distinctive talents of leading artisans for the upholstery, instrumentation, interior wood and metal elements, and aluminum body panels. As an exterior statement, the Cadillac Sixteen's proportional composition is bold. The aluminum hood is long, giving the Cadillac Sixteen tremendous dash-to-axle dimension; the wheel arches were designed to accommodate the beautiful 24-inch polished aluminum wheels. The four-door hardtop incorporates an all-glass roof and is without B-pillars. 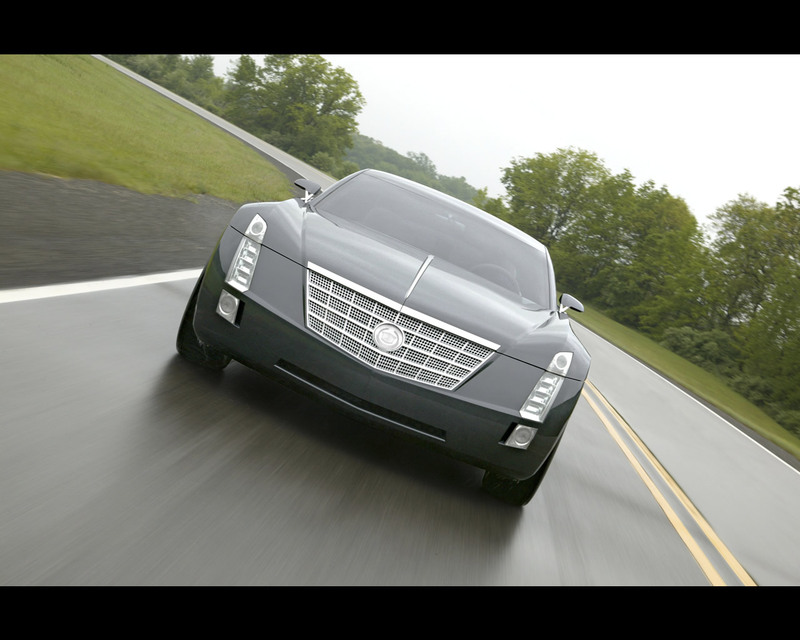 Crisp-edged lines of the midnight silver aluminum body panels accentuate the Cadillac Sixteen's striking appearance. 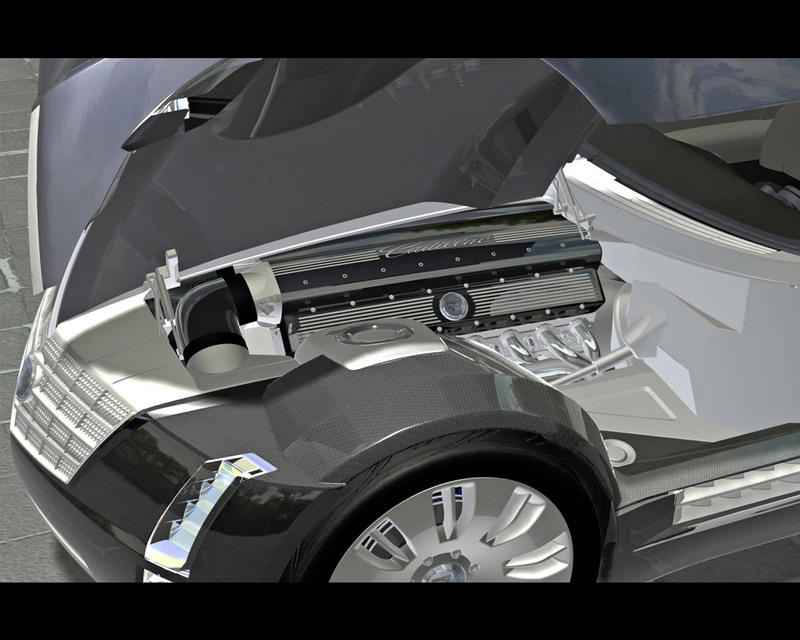 Even the engine compartment, with its sculpted design, has drama. With dual panels hinged about a center spine that runs the length of the expansive hood, it makes an event out of opening the engine bay. The hood panels are power-operated. "The engine bay really pays tribute to the V-16," said Wayne Cherry, GM's vice president of design. "It's like a setting for a diamond, clean and simple. The under-hood was designed with the same care and attention as the interior. "The interior is a pure expression of design," said Cherry. "Premium materials in luxury refinement are fine woods, precision-cut metals and crystal. They've all been combined and balanced in harmony in the Cadillac Sixteen." The interior theme is evocative of the posh accommodations of 1930s-era Cadillacs, but with contemporary style. For instance, the dashboard features a center-mounted Bvlgari clock. The hand-stitched, Tuscany leather upholstered seats nestle the occupants. The right rear seat features power adjustable slope to recline like a chaise lounge. Warm, hand-woven silk carpets the floor in a light cream color that matches the leather upholstery. The dash, door panels, and front and rear consoles are trimmed with walnut burl veneer inlays. "The lighting is architectural, enhancing the mood and desirability of the Cadillac Sixteen's interior space, complementing its shapes and colors," said Eric Clough, interior designer. "Technique combines with technology for a sophisticated, pampered ambience." Meanwhile, the custom-designed crystal on the cluster dials offers subtle cues of the Cadillac Sixteen's precise engineering, elegance and craftsmanship. While GM designers drew inspiration from the ultra-luxury sedan's ancestry, the Cadillac Sixteen is thoroughly modern in its powerplant and technological content. 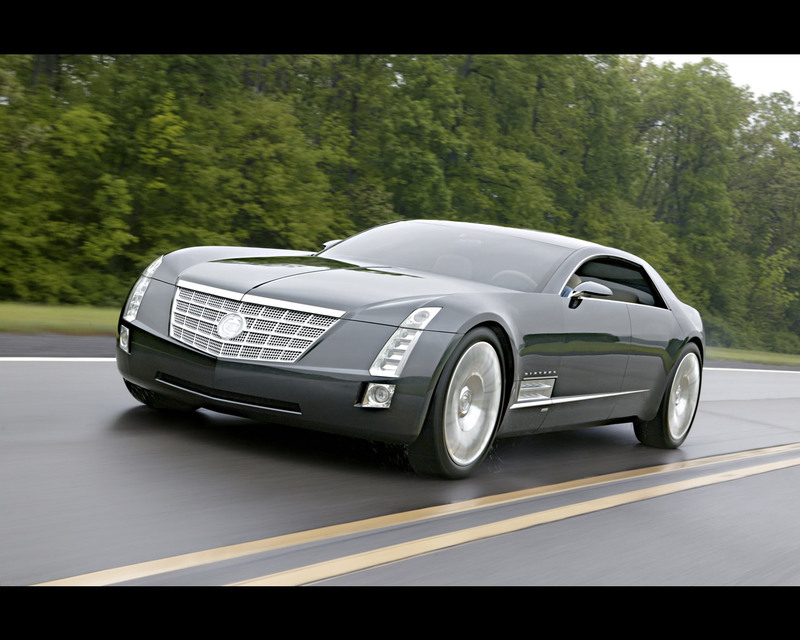 The Cadillac Sixteen's 32-valve V-16 concept engine displaces 13.6 liters and is mated to a four-speed electronically controlled automatic transmission. The engine features fuel-saving Displacement on Demand technology, debuting in 2004 on some 2005 GM models, which shuts down half of the cylinders during most driving conditions and automatically and seamlessly reactivates them for more demanding conditions, such as brisk acceleration or load hauling cylinders when the driver needs the engine's full power. The engine produces 1000 horsepower and 1000 lbs.-ft. of torque. The extensive use of aluminum components and structure provide substantial weight advantages. The aluminum-steel chassis employs high-arm SLA suspension up front and independent semi-trailing arm suspension in the rear. Four-wheel steering enhances the Cadillac Sixteen's maneuverability. The front and rear brakes are six-piston calipers with 16-inch rotors. Electronic amenities include a rear-seat DVD information system, Bose sound system, and the fifth-generation OnStar in-vehicle safety and security communication system. The head and tail lamps feature LED technology. All told, the Cadillac Sixteen is an ultra-luxury automobile of the first order. "This car offers premier refinement and craftsmanship," said Cherry. "Its ultra-contemporary technical detailing is evident throughout. "The Cadillac Sixteen is befitting of the great Cadillac tradition as the standard of the world."